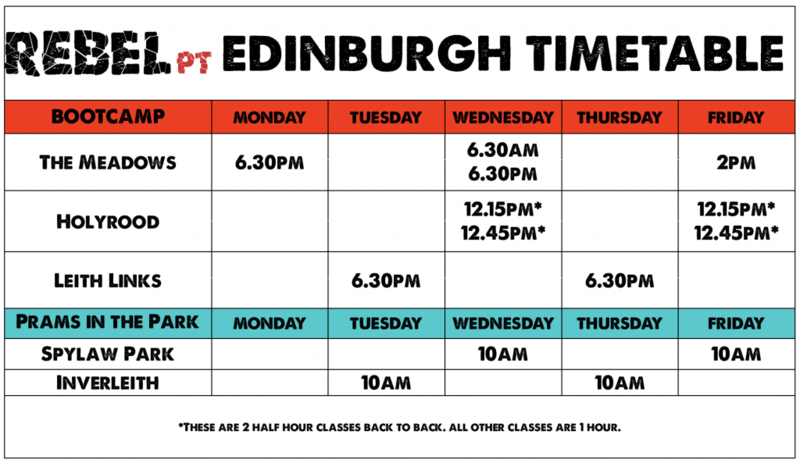 The countdown is on with only 4 weeks to go until we launch our full Rebel PT timetable in parks in and around Edinburgh! Boy does time fly. Here’s our most popular questions in the run up to trying out a class! If there’s anything else that hasn’t been answered below drop us a message: alice@rebelpt.co.uk. How do I Sign up to a Free Trial? If you head to the Rebel PT homepage and click ‘Give me a free class’ button. Pop in your name, number and email address and Select ‘Edinburgh’. We will be in touch with you soon to organise your first session. If you have any queries you can drop us an email: info@rebelpt.co.uk. After you’ve tried out your first session, and have hopefully decided that you want more, we go by monthly memberships. It is one session a week for £30 a month or unlimited sessions for £39 a month. The memberships are very flexible as you can go to any park, any day and even switch between Bootcamp and Prams in the Park sessions. We understand that life doesn’t always run clockwork so you can mix it up when you need to. Can I do Pay as I go? No we don’t offer pay per session classes. This is because at Rebel we want to turn training into a lifestyle by building a community. You can look forward to seeing regular faces and making friends at training. If people are just rocking up every now and again it won’t build the same community vibe. Plus if you manage to make 2 classes a week then you are paying under a fiver per class, even less if you manage to come along more often! Now that IS motivation!! What is the Edinburgh timetable? Check out the Edinburgh timetable below. We are testing these classes for the next 12 weeks so if you want one to stay make sure you go along! After 12 weeks we will review which ones are popular and might have to phase out the less popular classes. We know this generally doesn’t make sense in bootcamp terms but the amount of people who worry about being the slowest or least unfit at a class makes us really sad. Remember you are doing this for you so there is absolutely no need to worry about what anyone else is doing or how fast they are doing it. We also organise our sessions so you can push yourself as hard as you feel comfortable which means the faster people are always pushed a little bit further and harder and anyone taking it slower can rest when they need without feeling the pressure of holding people up and still get a good workout! The answer is… zero fit! Woohoo that means you can start NOW! The amount of people who tell us that they want to get fit before joining baffles our minds! 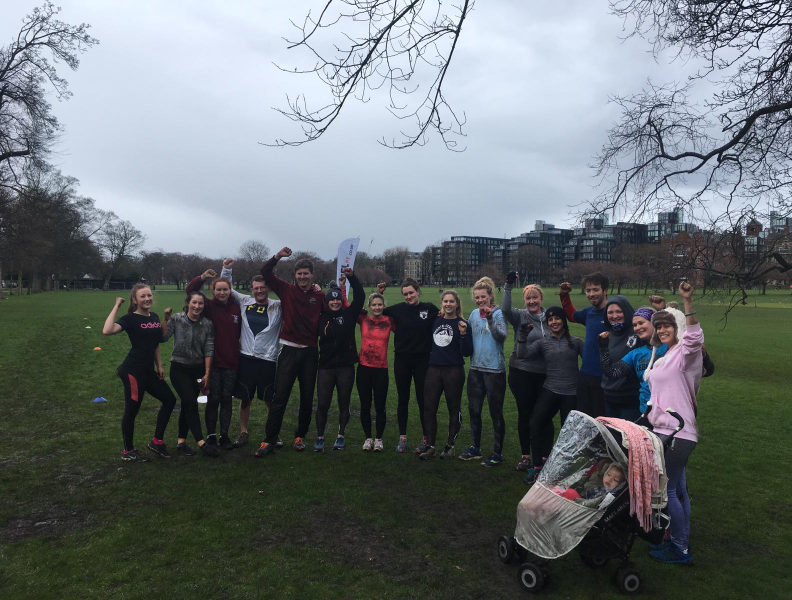 We all started somewhere and you are more likely to get fit with a great bunch of people encouraging and pushing you compared to a solo effort of forcing yourself to do something you’re not that excited about. 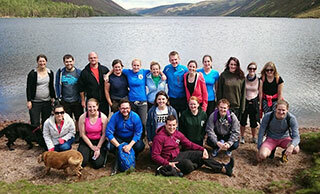 Comfortable clothing such as leggings, joggers or shorts with a t-shirt and all items you are happy to get wet or muddy. You should wear trainers or running shoes with socks. Because the weather can be temperamental, you may also like to bring waterproofs if you have them. Gloves and a hat also make a huge difference. We also recommend a dry jumper and towel for afterwards, particularly if it has been raining, and a carrier bag for your car seat on the way home! Bring a water bottle with you and we have somewhere for you to put your valuables. To keep up to date with everything Rebel Edinburgh sign up to our fortnightly newsletter here.